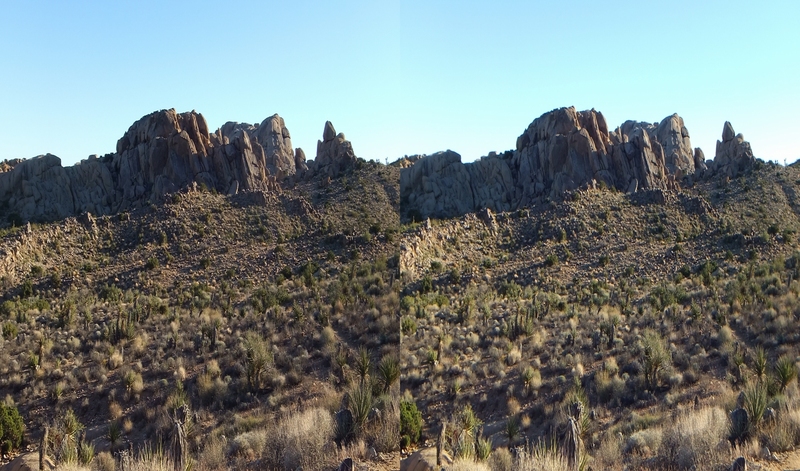 Although Split Rock Loop Trail is the centerpiece of this and the previous 3D Gallery, enjoy this distant shot from Eagle Cliff. 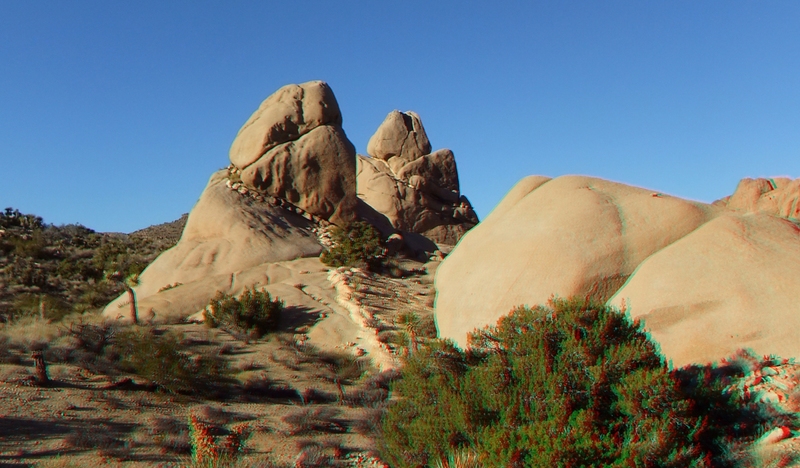 The trail, when hiked clockwise strikes out right from Split Rock in this view. 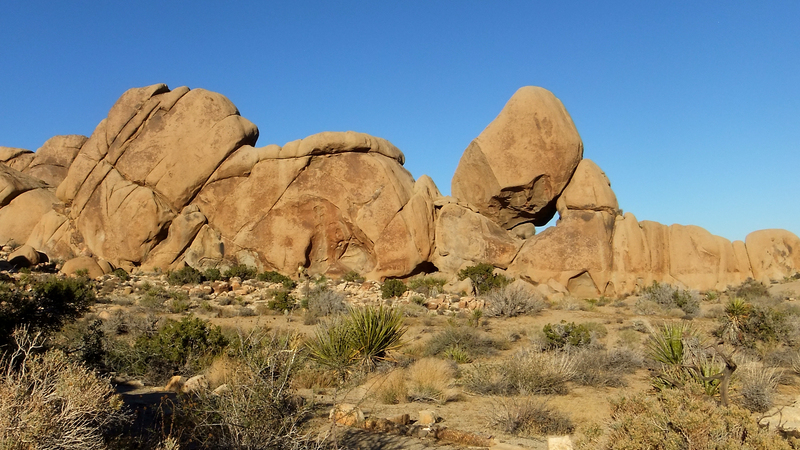 It then snakes its way through the rocks the far side of Screamer Rocks, where it heads south into the shady gap left of Isles in the Sky. 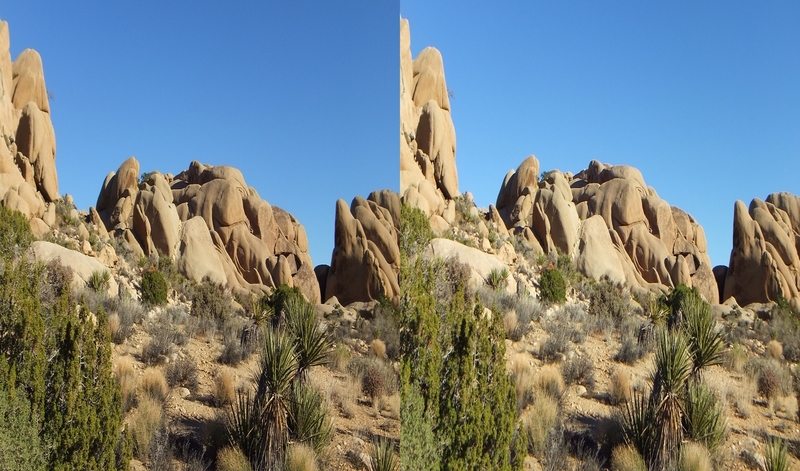 After nearly circumnavigating Isles in the Sky, you return to the northern area of Tulip Rock. 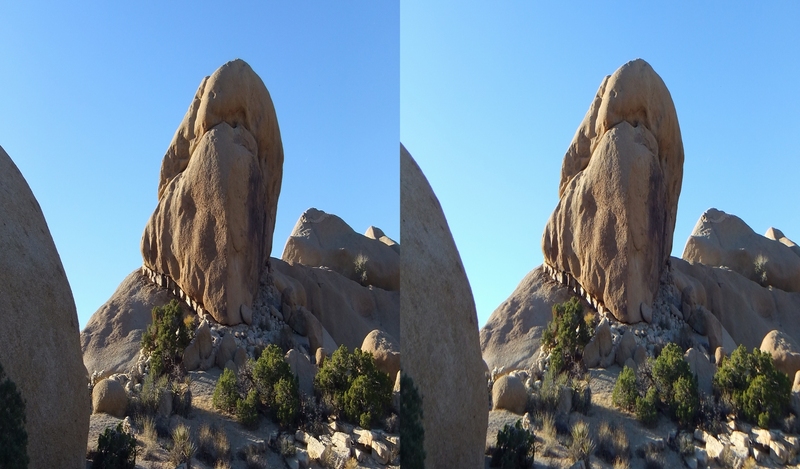 Tulip Rock, which isn’t marked on this illustration, is the triangle shaped rock mid-way between the Isles and Jumbo Rocks labels. 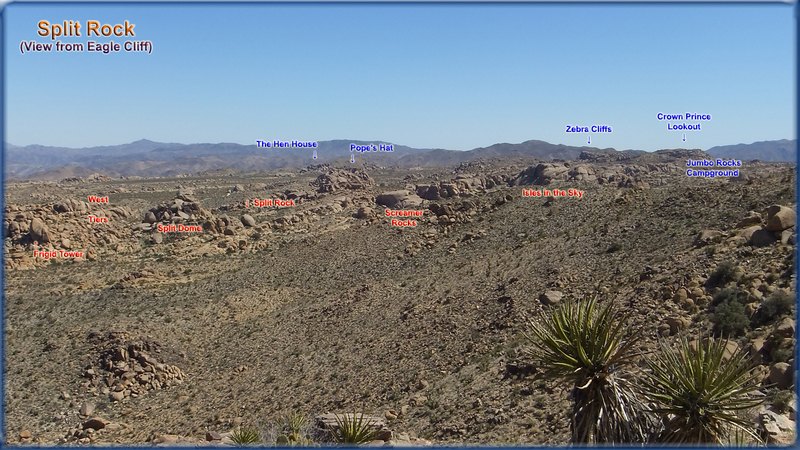 The 2-mile loop trail leaves the formations behind and drops down the long, shallow slope at right. 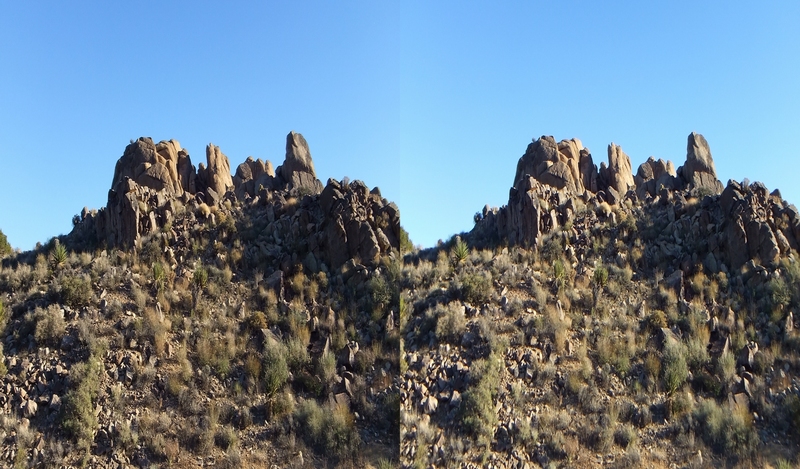 It crosses east where it returns to Split Rock via Frigid Tower at the far left. 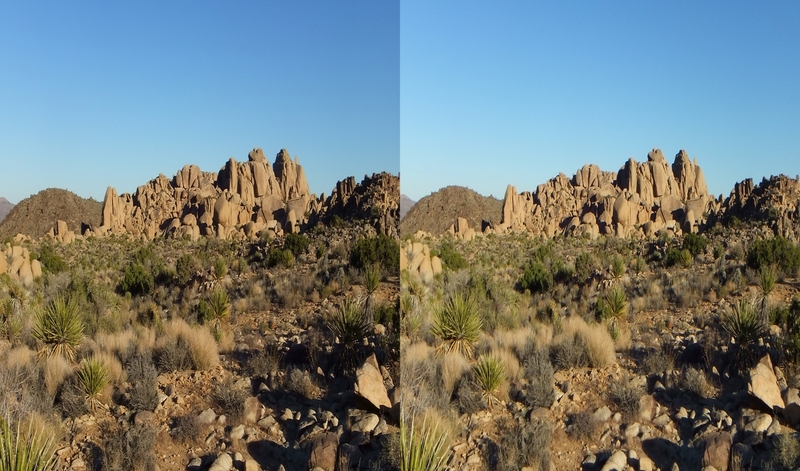 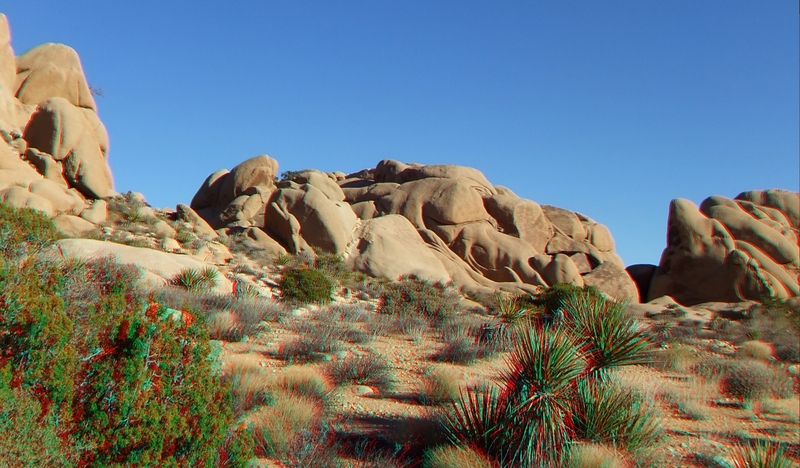 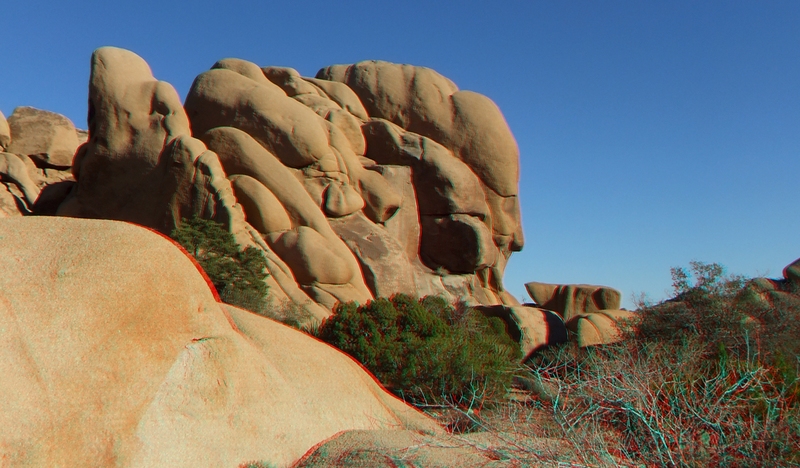 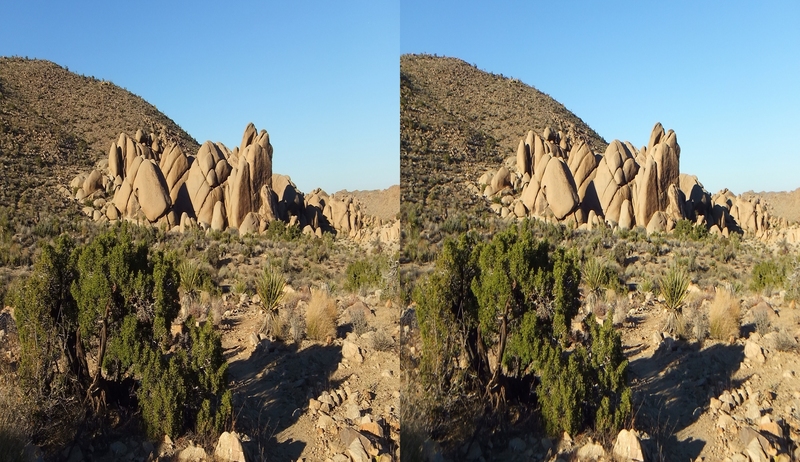 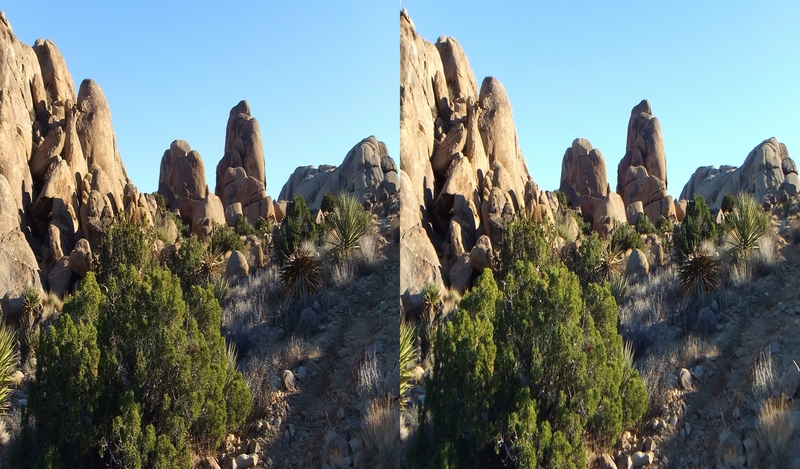 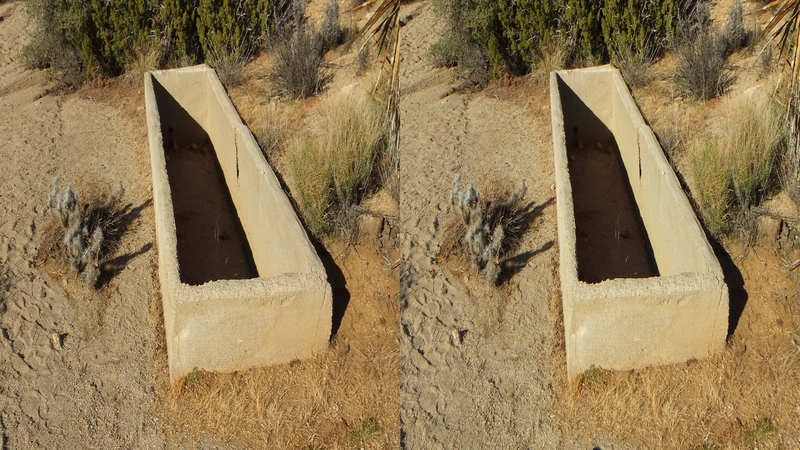 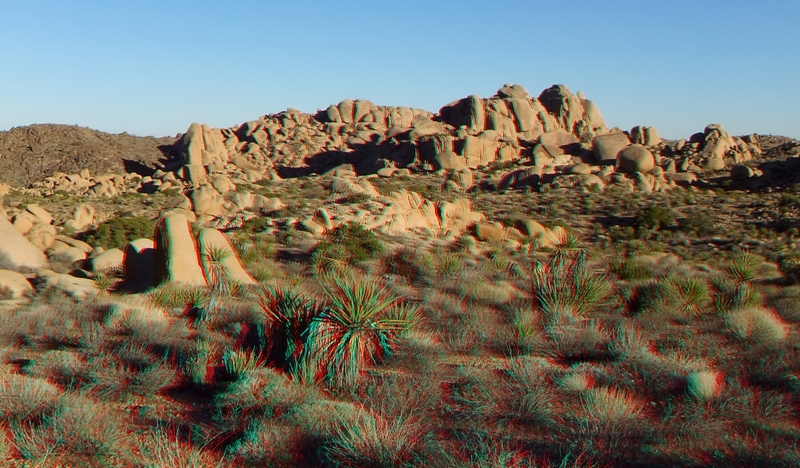 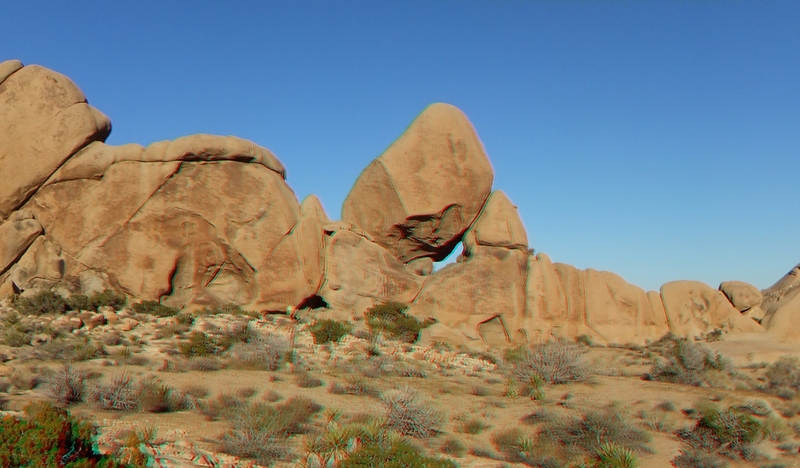 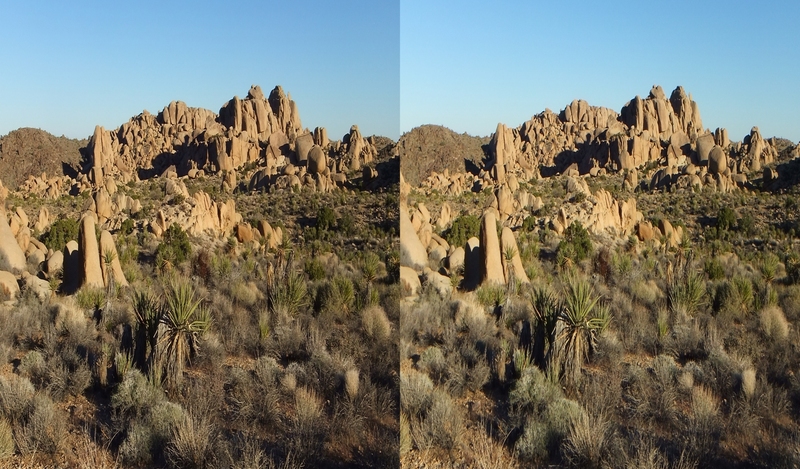 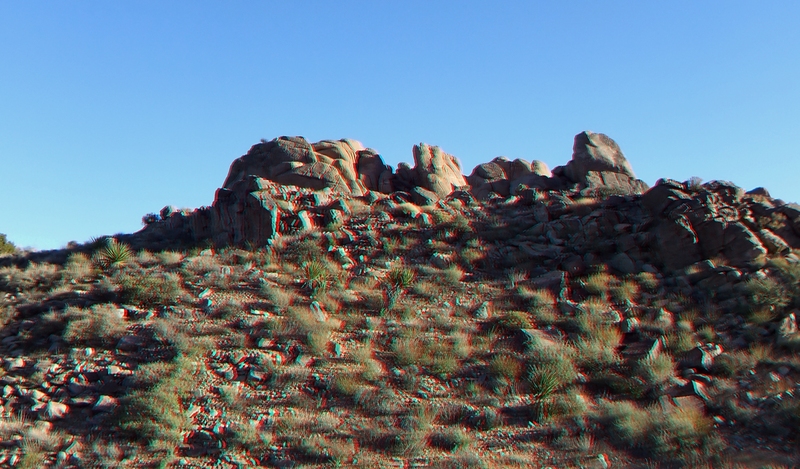 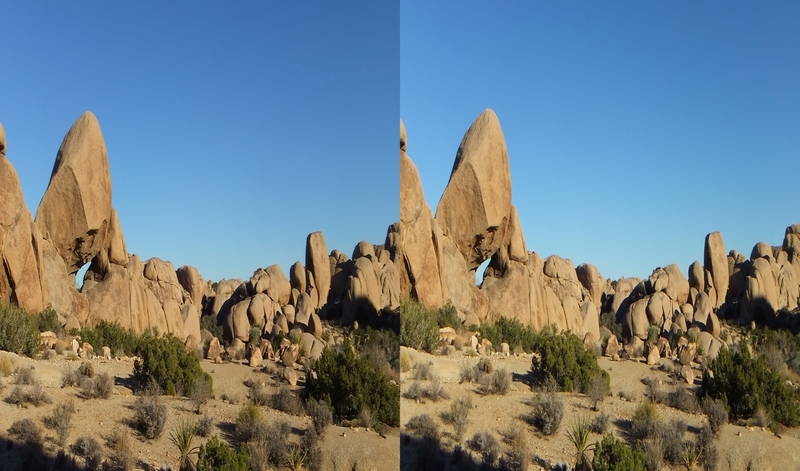 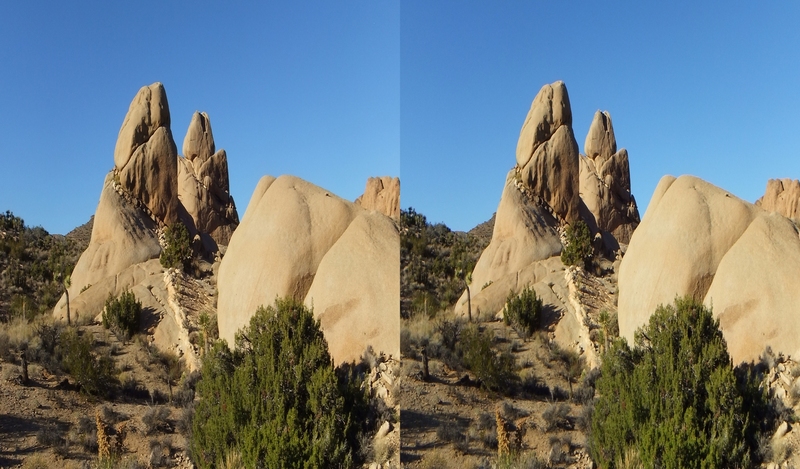 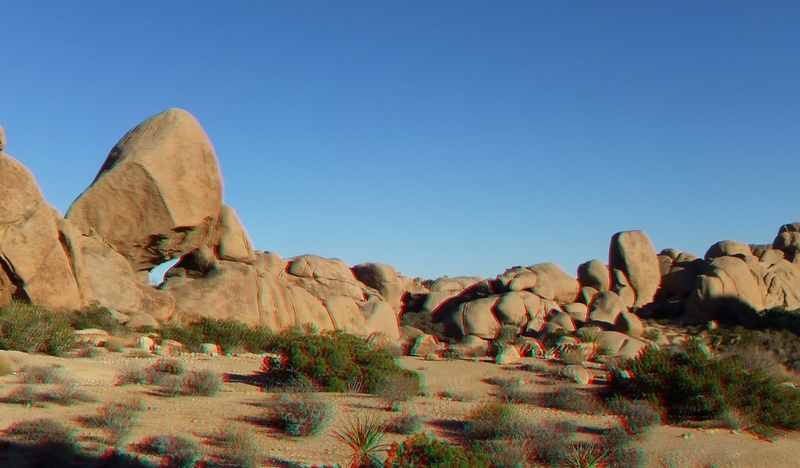 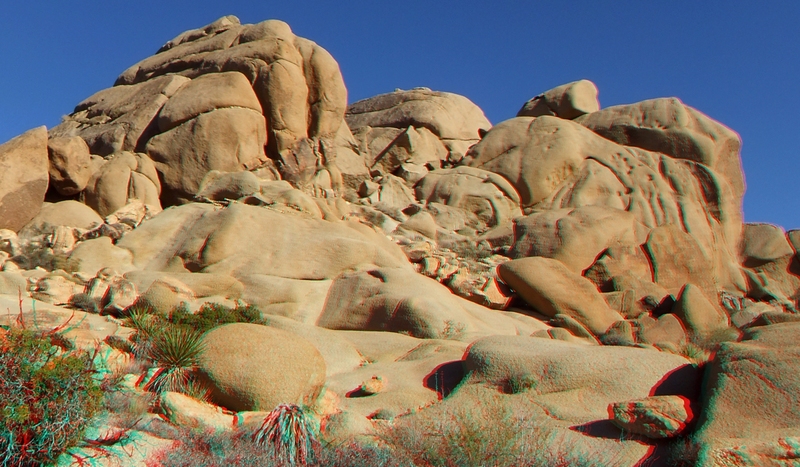 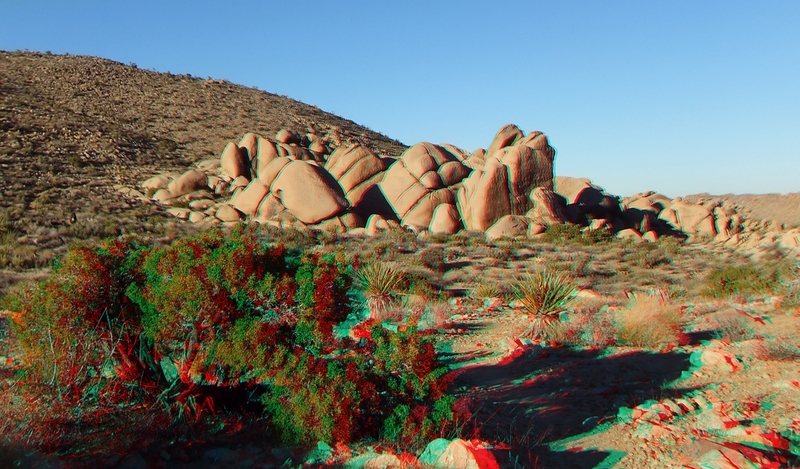 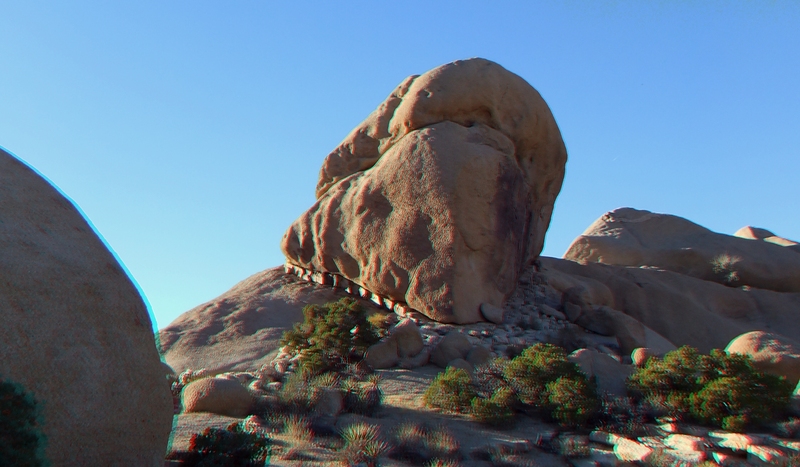 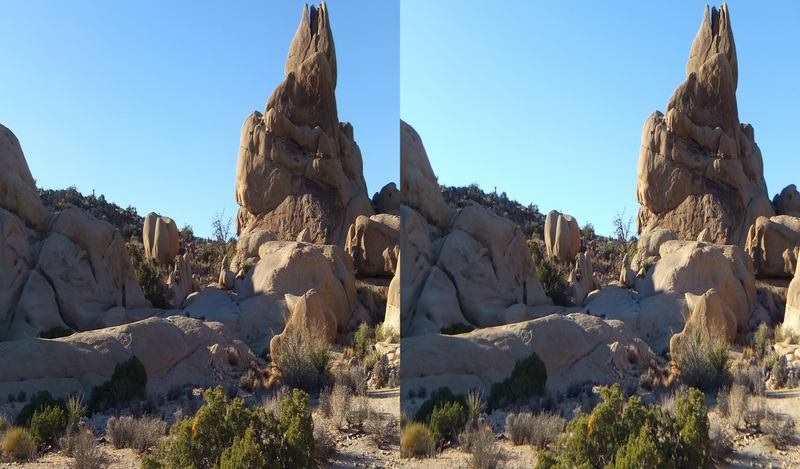 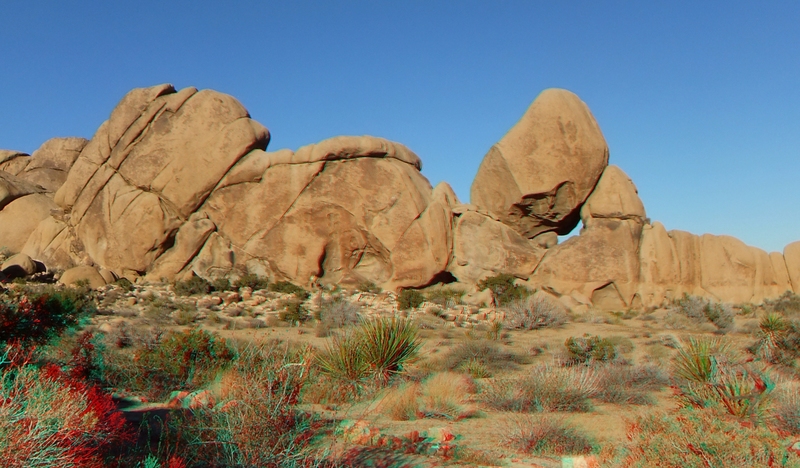 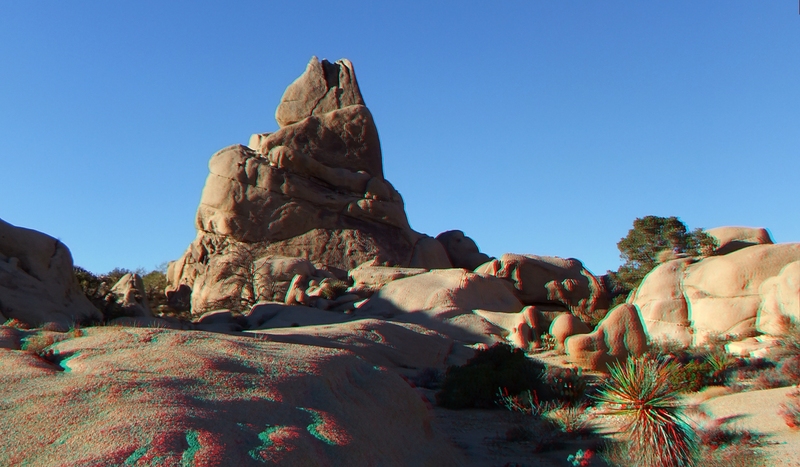 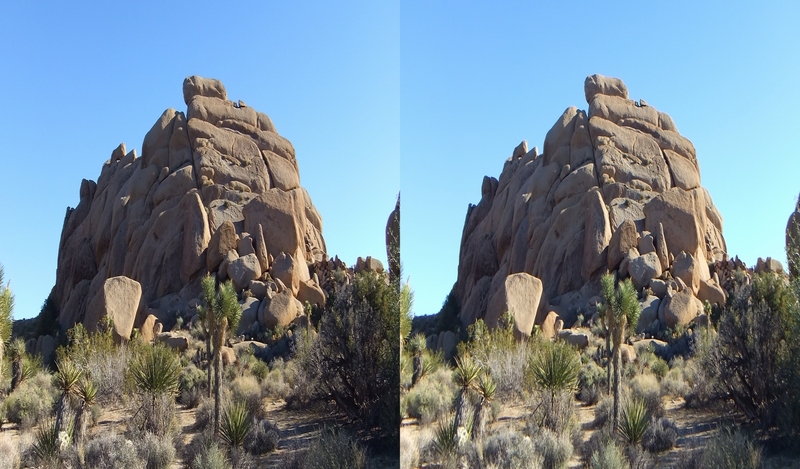 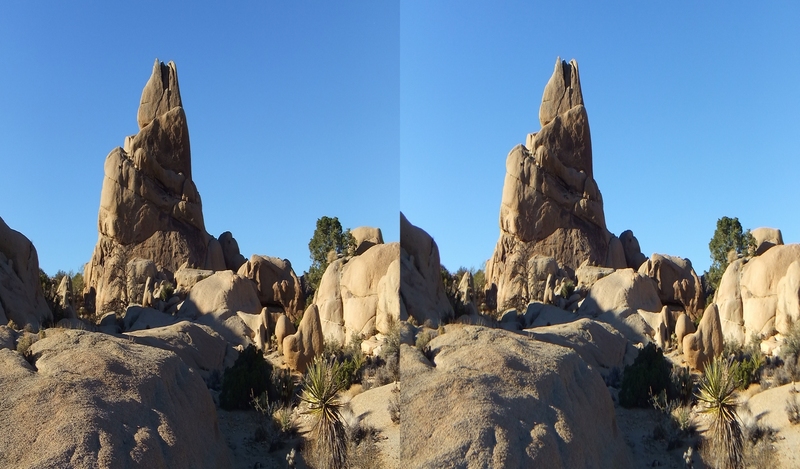 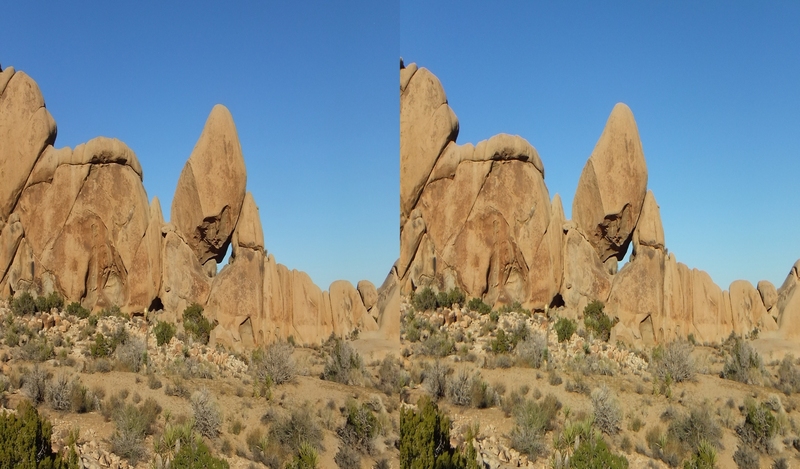 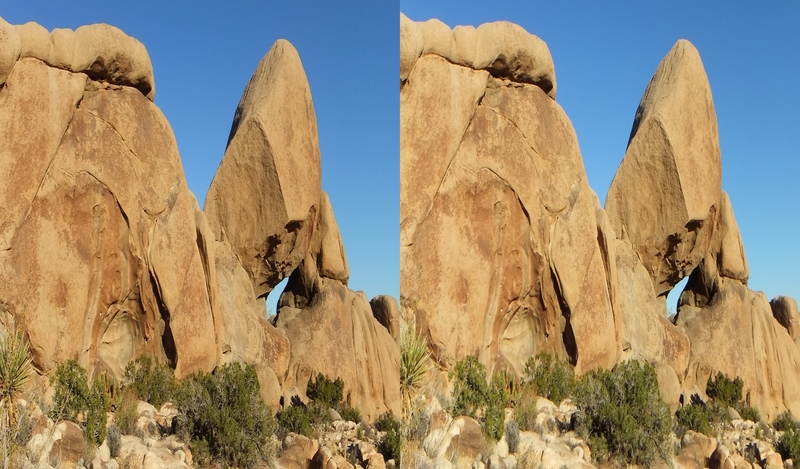 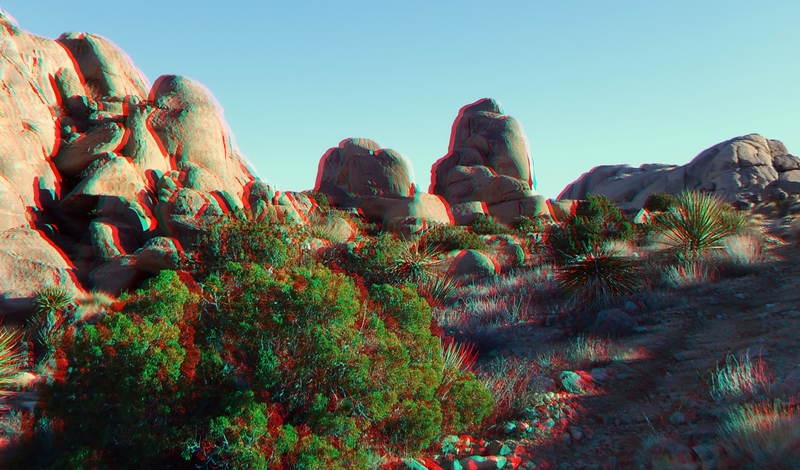 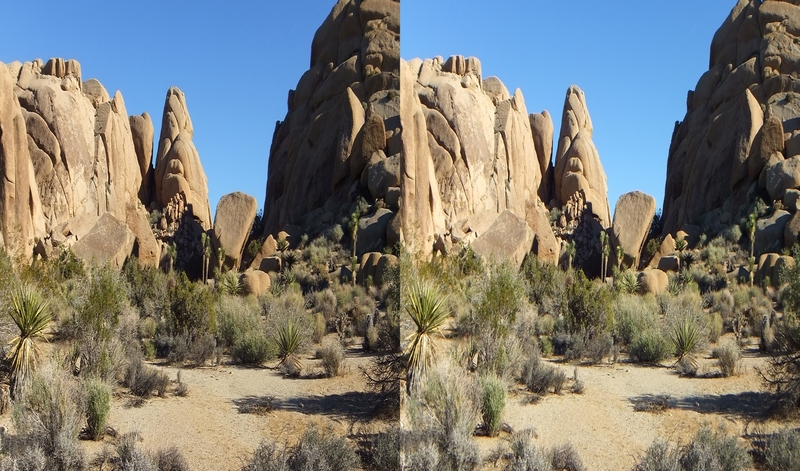 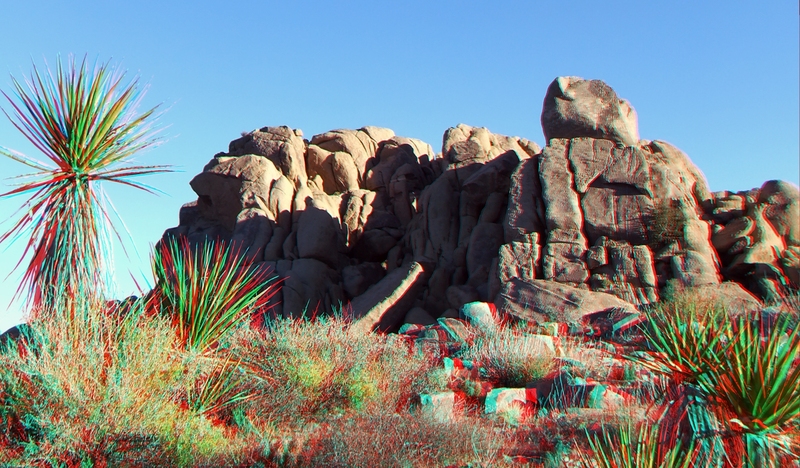 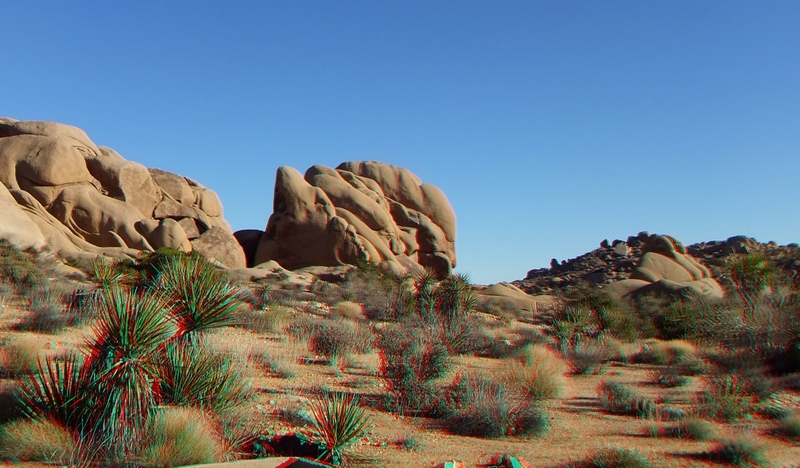 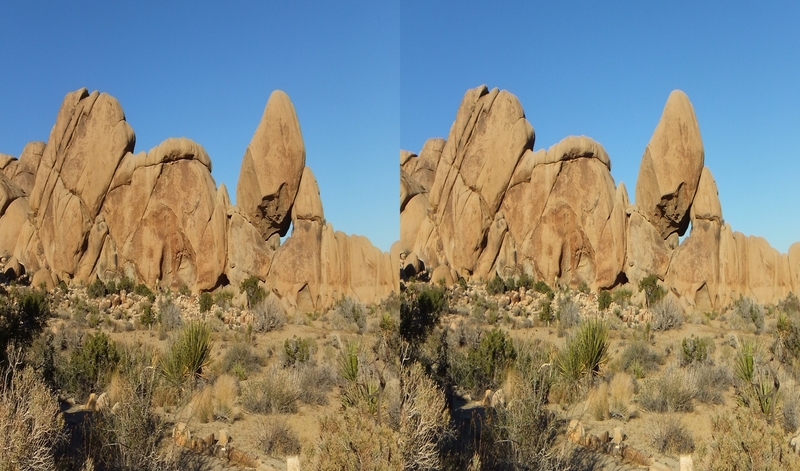 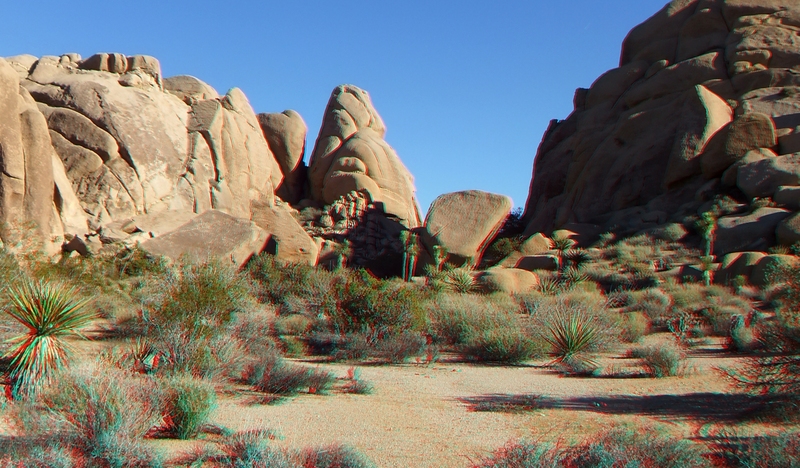 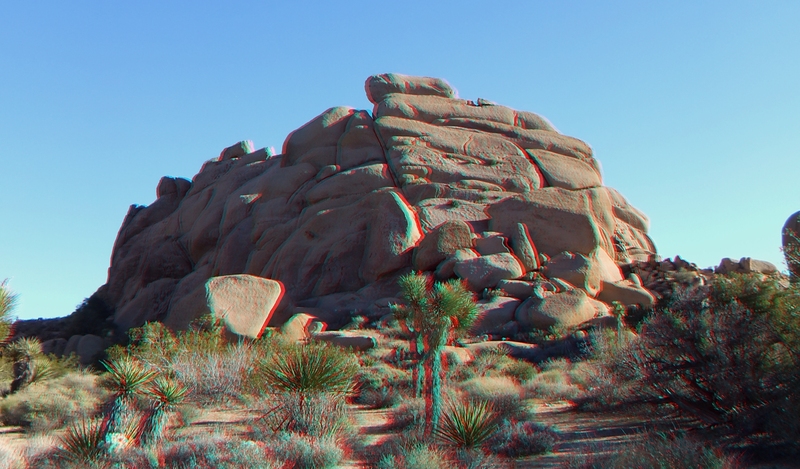 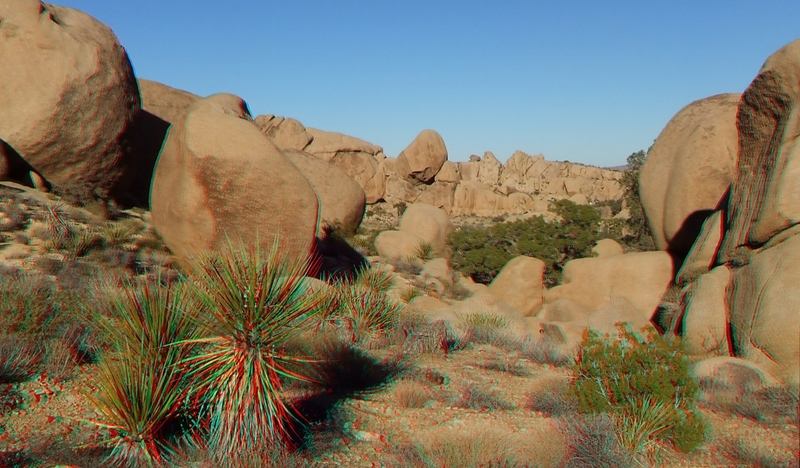 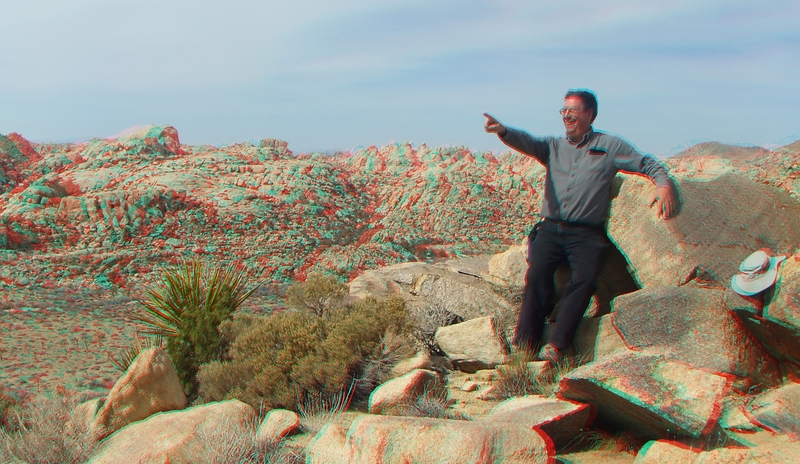 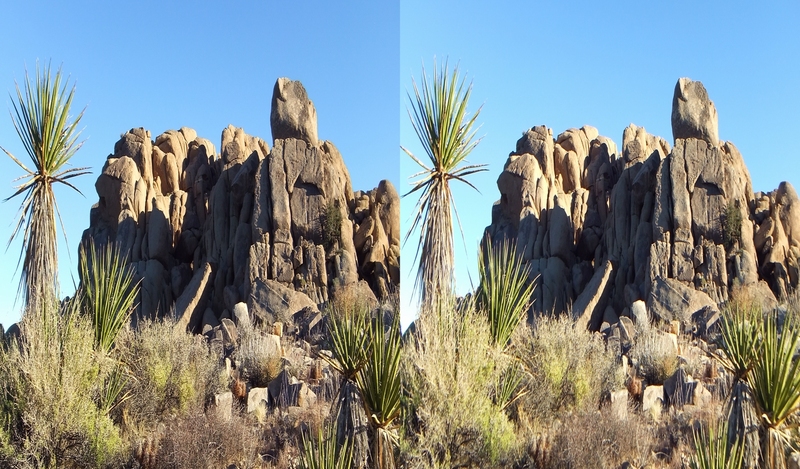 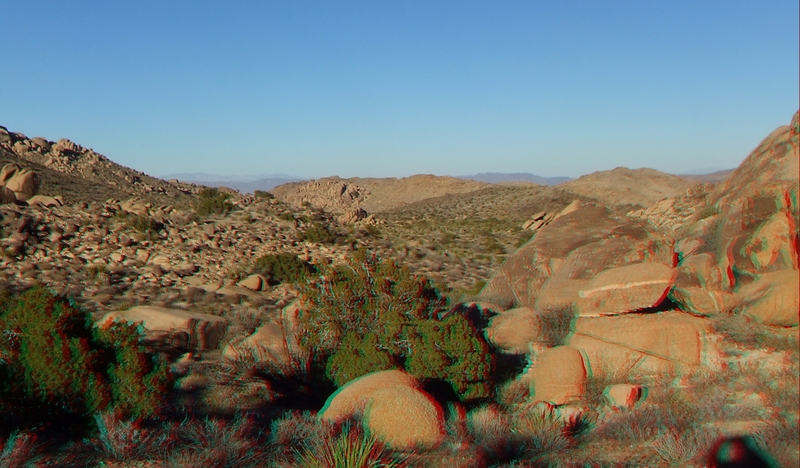 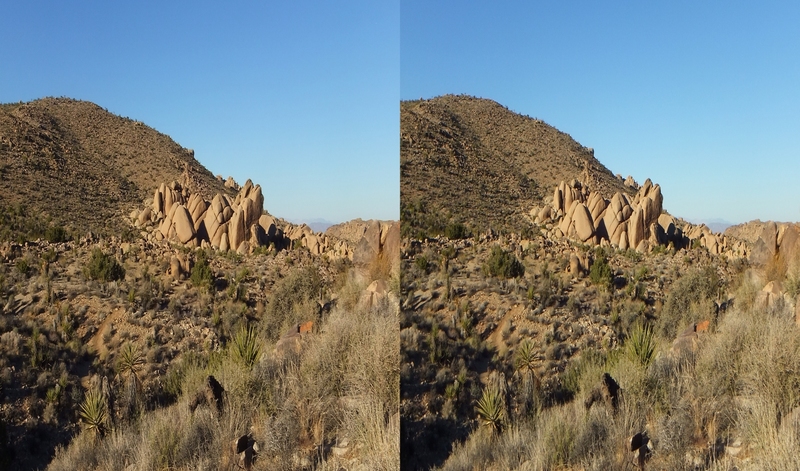 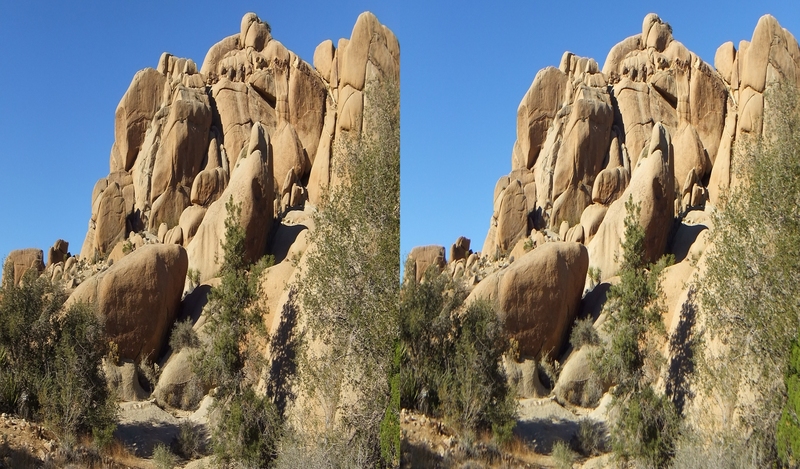 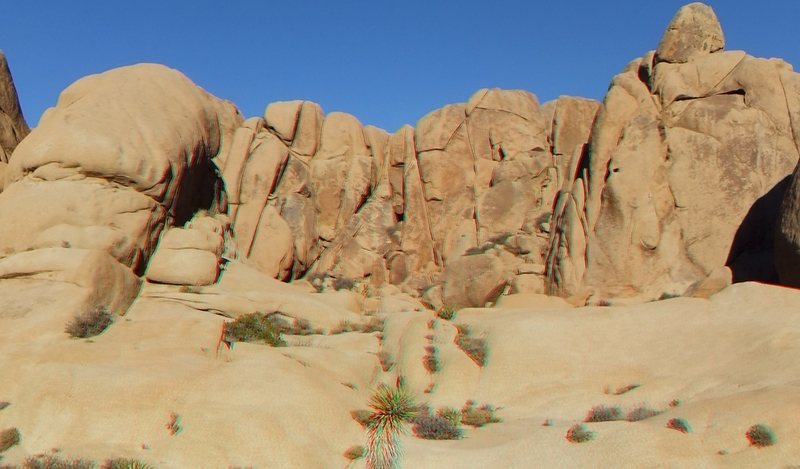 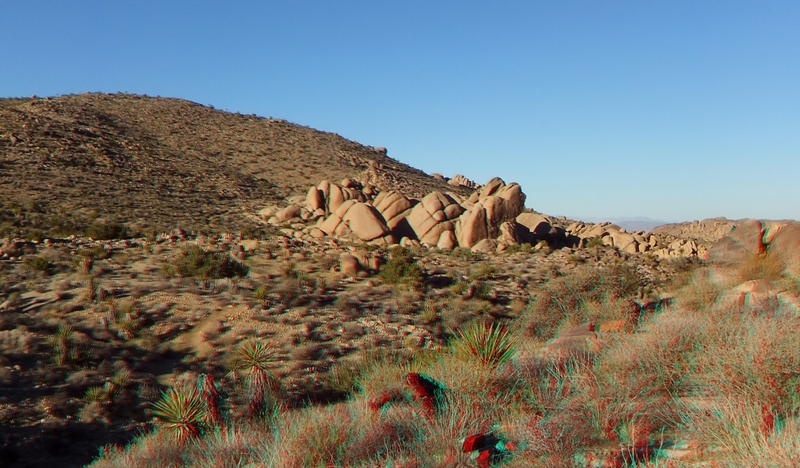 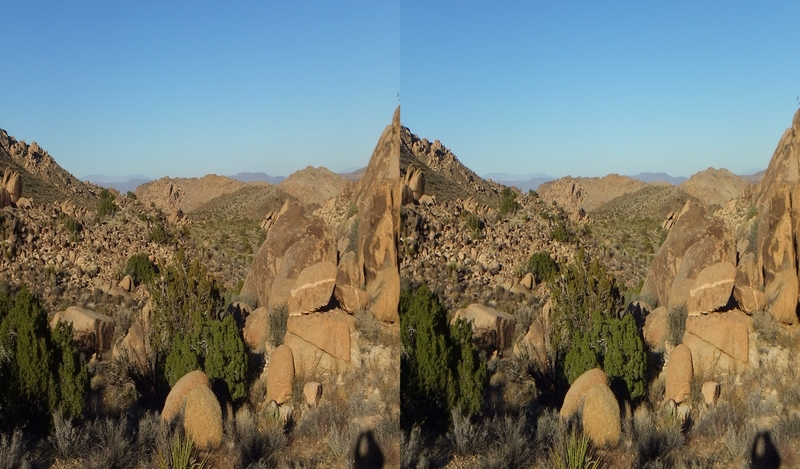 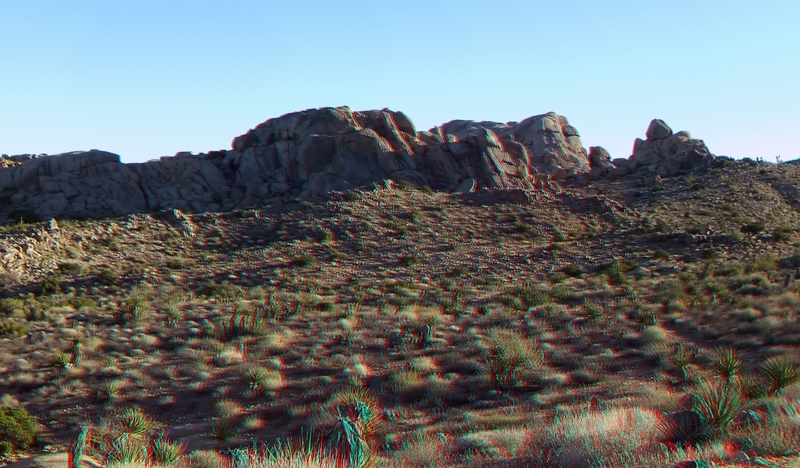 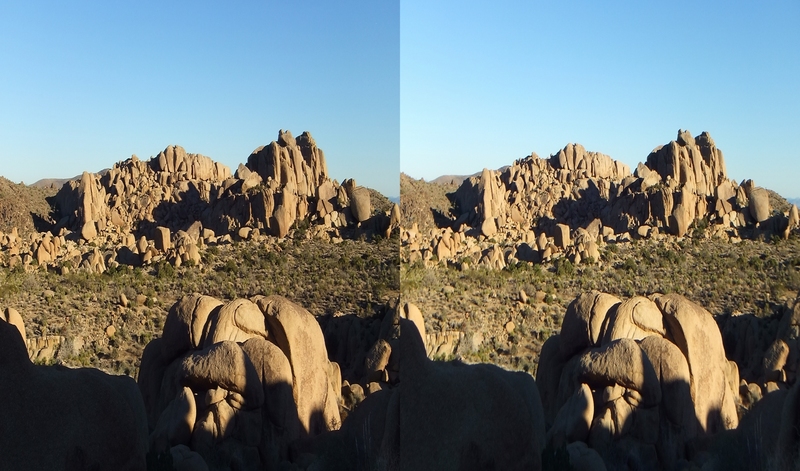 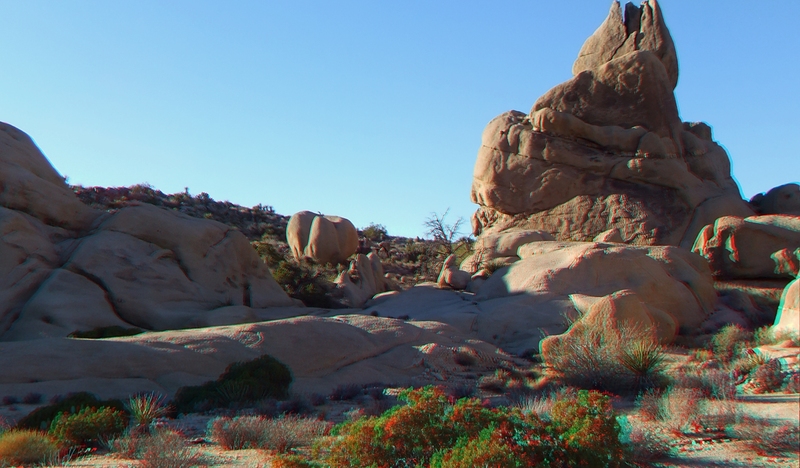 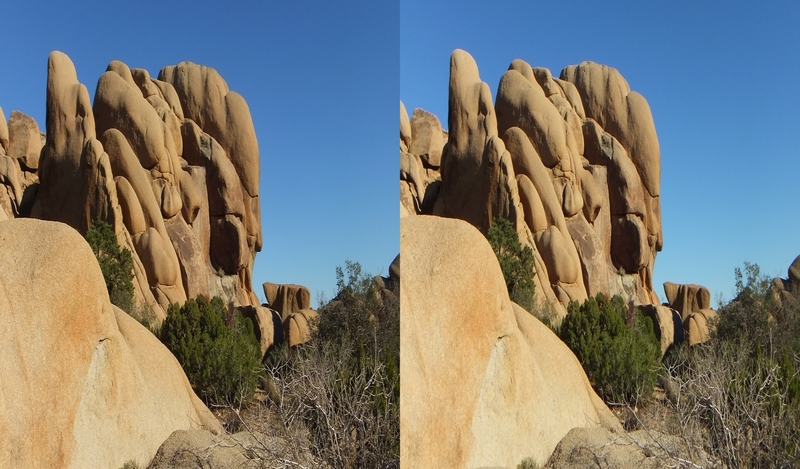 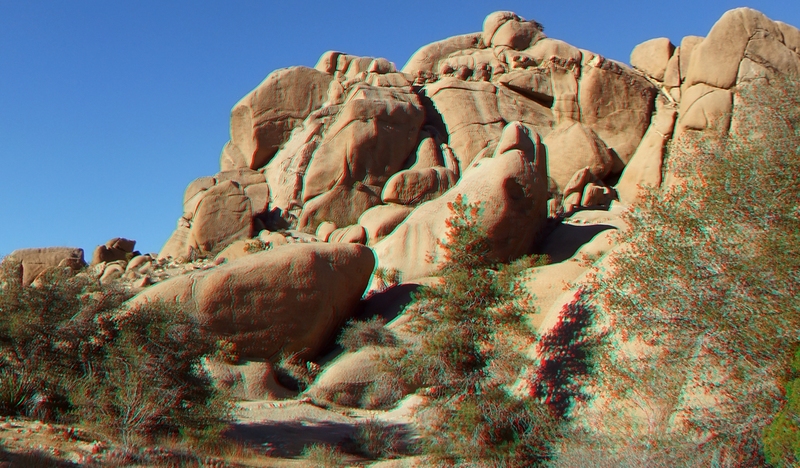 THIS IS THE SECOND OF TWO 3d GALLERIES covering the 2-mile Split Rock Loop. 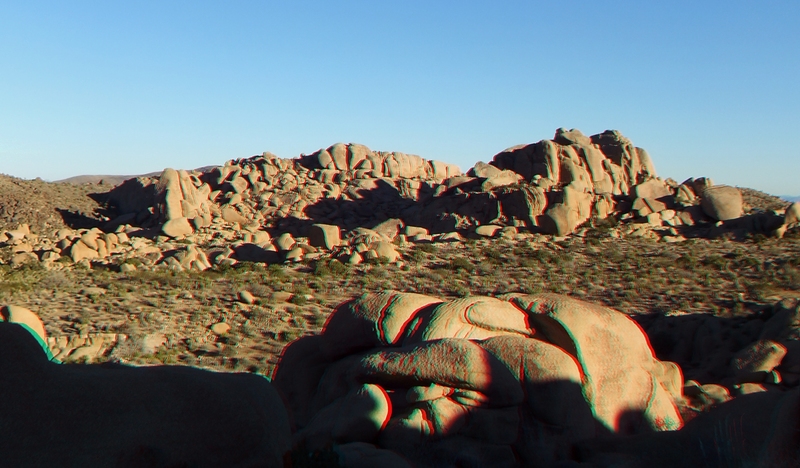 The sun spreading its afternoon colors in the western sky, I had it at my back the whole time. 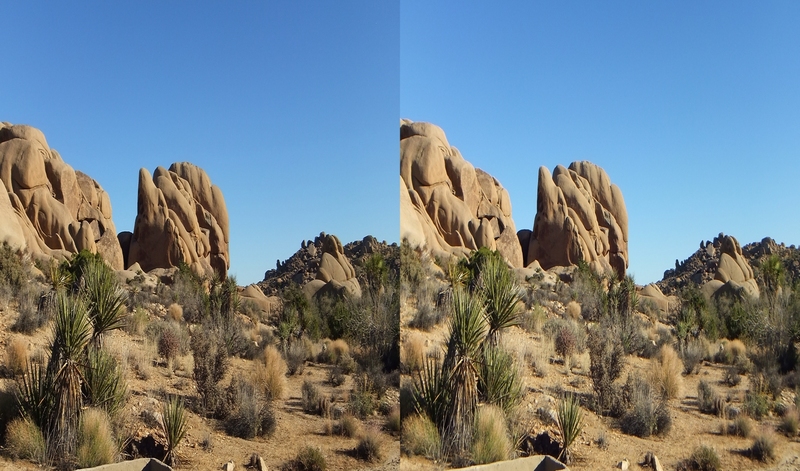 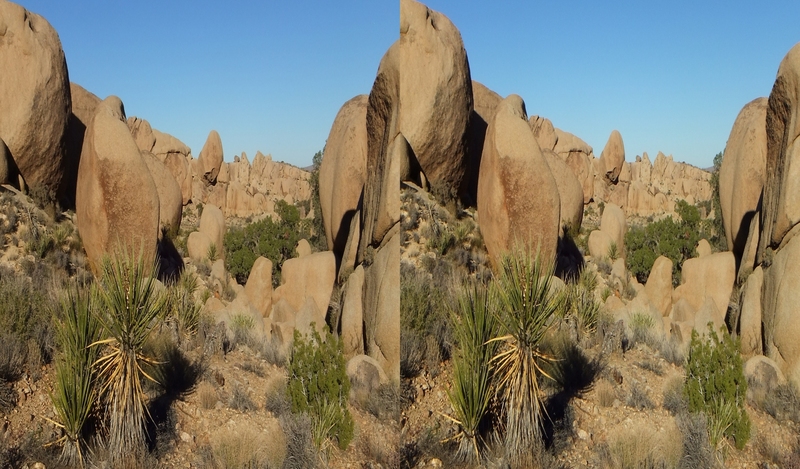 Late-autumn deep shadows give Joshua Tree’s formations a spectacular appearance this time of year. 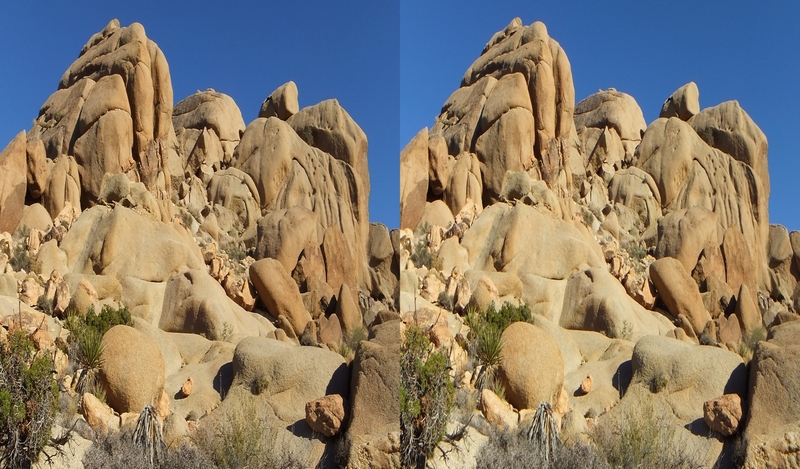 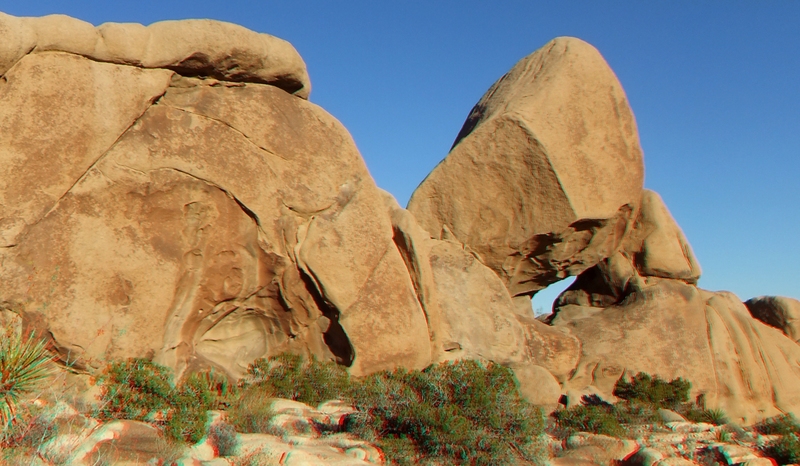 The 2-mile Split Rock Loop Trail is a must for any traveler to Joshua Tree Park whether you take a clockwise route or counter-clockwise. 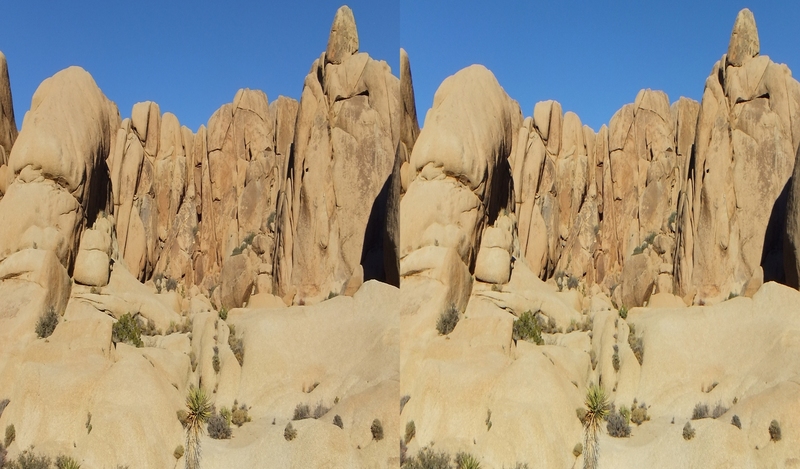 Worth a couple of hours spent inspecting the diverse sights and wonderful granite formations. 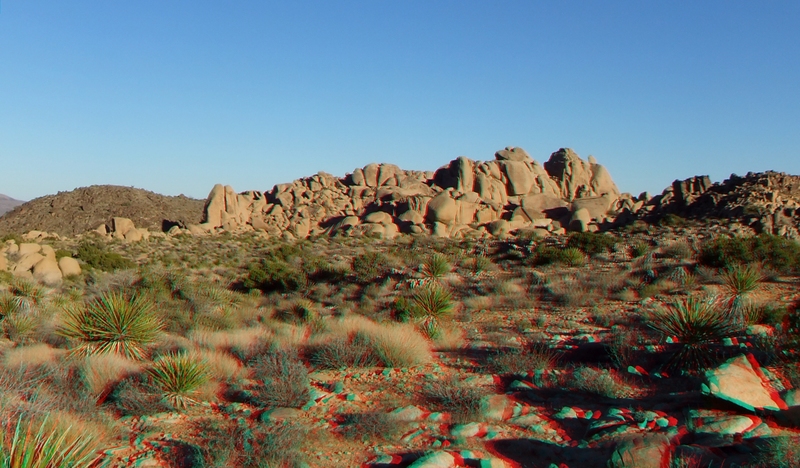 I hope that you have enjoyed the 3D images!